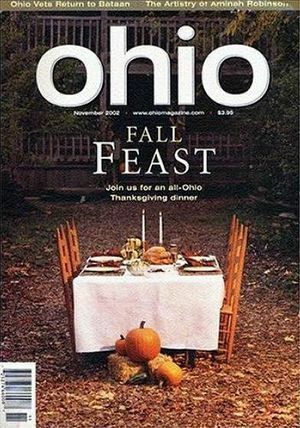 Ohio Magazine is a savvy, dynamic and proud forum for everything readers need to know about the great state of Ohio. In each issue of Ohio magazine the people, places and trends that define Ohio's unique character and style are explored. Ohio magazine lets readers know who's who, what's what and where to find the best things in life, in their hometown and beyond, with the wit, honesty and insight native Ohioans share. Ohio magazine includes features on travel in the state and elsewhere, tips for home and garden, food and recipes, as well as a restaurant guide and monthly calendar of events.